Prior to joining Halliday Clark and after a successful period of undergraduate study at Newcastle University, and postgraduate study at Leeds Metropolitan University Gary entered employment with a firm in Newcastle concentrating in the residential sector. This led to a move to a Leeds based practice where further residential experience was gained on projects ranging from bespoke individual houses to large housing developments. 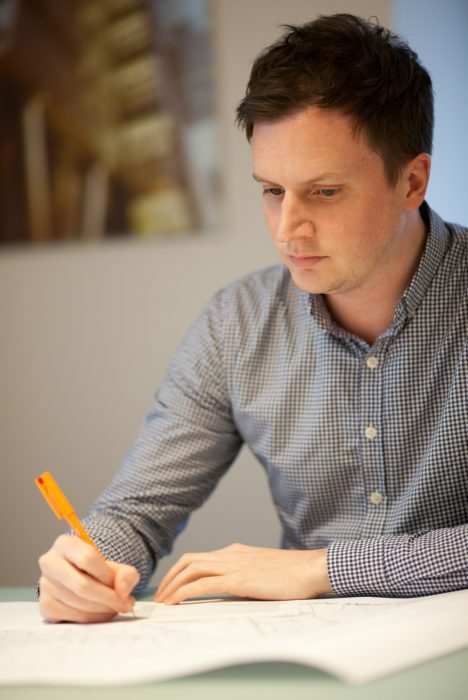 At Halliday Clark Gary works on a wide range of projects utilising his strong understanding of architectural design, technical detailing, specification writing, and practical on site experience.